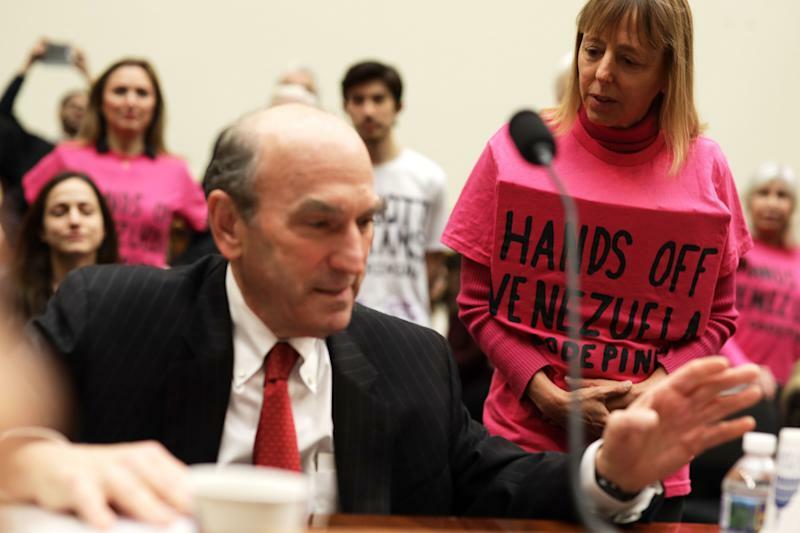 In her first committee hearing since apologizing for what were widely condemned as anti-Semitic remarks, Rep. Ilhan Omar, D-Minn., confronted the U.S. special envoy to Venezuela, Elliott Abrams, over his record of support for right-wing governments in Latin America. Omar, a freshman, began by pointing out that Abrams had pled guilty in 1991 to two misdemeanor counts of lying to Congress over the Iran-Contra affair, a plot hatched by the Reagan administration to assist rebels trying to overthrow the left-wing government of Nicaragua. Abrams was Assistant Secretary of State for Human Rights and Humanitarian Affairs under Reagan and a key figure in the scandal. He was sentenced to 100 hours of community service for giving false testimony, but was pardoned President George H.W. Bush as Bush was leaving office. Omar suggested Americans would have reason to doubt Abrams’s testimony about the United States role in Venezuela. “If I could respond to that,” said Abrams. “It wasn’t a question,” replied Omar. “It was an attack,” said Abrams. Venezuela is enmeshed in both an economic crisis and a power struggle between the elected president, Nicolas Maduro, and National Assembly head Juan Guaidó. Abrams was appointed special envoy last month by President Trump, who has recognized Guaidó as interim president. Abrams later said of the United States that the “record in El Salvador is one of fabulous achievement” despite evidence later surfacing that the U.S. government had helped hide Salvadoran human rights abuses. When Omar asked if Abrams thought the El Mozote massacre was a fabulous achievement, he refused to answer. “Will you make sure human rights not violated and that we uphold international and human rights?” Omar continued. “That is always the position of the United States,” said Abrams. The hearing had been disrupted earlier in the day by protesters opposing Abrams’s appearance. 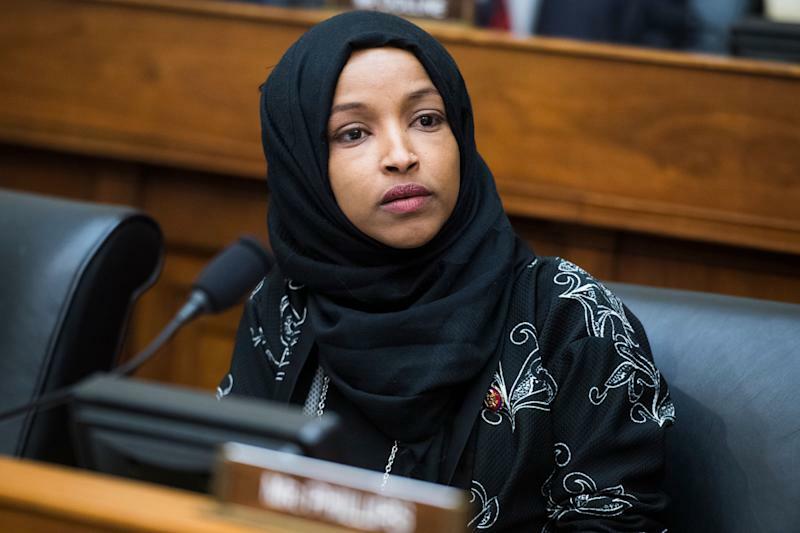 Omar apologized earlier this week for tweets that made sarcastic reference to the influence of the pro-Israel lobby group AIPAC. President Trump called on her to resign from Congress, or step down from the influential committee.